Same great Wine Guardian name, now available in a Through the Wall version! 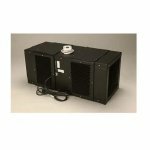 These cooling units offer many options such as remote interface, remote sensor and exhaust ducting. Each cooling unit is able to handle up to 1200 cubic feet. The Wine Guardian ducted cooling units offer options for cooling, heating and humidity. Water cooled available as an option; needed when condenser is located in hot area or noise is a concern. Ducted systems are for cellars up to 5500 cubic feet. The regular ducted systems are listed first in order of 1/4, 1/2, 1 and 2 Ton units. The Water Cooled systems are listed after. All our Wine Guardian products are shipping directly from Wine Guardian so you are guaranteed the most up to date technology available. DuctLESS split system by Wine Guardian! Ductless split systems are for cooling cellars up to 1200 cubic feet. 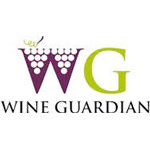 Wine Guardian ® is a full service vendor offers system that integrate cooling, heating as well as a variety of different options like: humidification, filtration, ducting, internal safety devices and low ambient control. It is the only system capable of multiple installation configurations: through-the-wall (flush, fully recessed or semi-recessed); indoor; remote mount and outdoor (ductable systems). The ductable Wine Guardian is the only system capable of ducting on both the evaporator and condenser side. Our Through-the-Wall version ducts on the condenser side. - The cooling unit is physically installed through the wall of the wine cellar with the back end exposed to adjacent room. Not all Features/Options available on all units. Standard with Ducted system, optional on the Through the Wall. One of the Wine Guardian solutions may work for your application. - Totally self-contained. No need to run refrigerant piping or install separate condensing unit. - Requires only one electrical power connection. - Low ambient control allows the unit to be installed in a garage or outside under cover where temperatures may be too cold for standard application. Condenser fan cycles to automatically control the head pressure and a heater maintains the oil temperature in the compressor. - Five (5) year extended compressor warranty available. - Optional Humidifier with electronic humidistat. Connected to 24v control system. Requires external water and drain. Either Integrated or Stand-alone models. - Heating coil works automatically with the cooling to prevent simultaneous operation. Factory installed, no field installation required. - Optional duct collars and flexible ducts to connect Wine Guardian to cellar. Sized to match capacity and outlets of each Wine Guardian size. Collars connect to the Wine Guardian unit and to the grilles; no need for additional wall grilles. - Optional water-cooled condenser model on ductable systems rejects the heat output into the water instead of the surrounding air. Eliminates the condenser fan. Ideal application is for make-up water to swimming pool. For Wine Cooling Units that offer options of cooling, heating and humidity control, our Wine Guardian Cooling systems are the perfect choice. Whether you are in need of a ducted, wall mounted, through the wall or split wine cooling system, you will most certainly find a model that will suit the needs of your cellar space. From a ¼ to a 2 ton unit, we offer a range of Wine Guardian cooling units capable of cooling cellars from 400 to 8,500 cubic feet. In order to personalize your wine cooling unit and allow it to function to its optimal extent, we also offer a variety of options that can be selected upon ordering your cellar cooling unit. Atomizing Humidifiers, Remote Interface Controllers and Duct Kits are only a few of the many options we hold available.